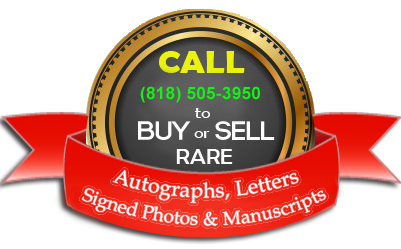 The man who set baseball records and created baseball legend with his thunderous swing, playful nature and flashy lifestyle has wowed fans once again. 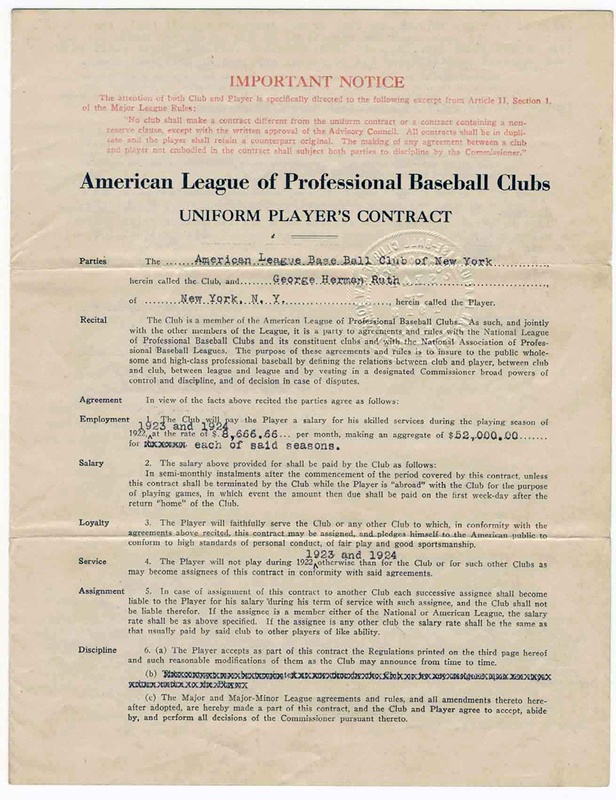 Nearly nine decades after Babe Ruth was sold by the Boston Red Sox to the New York Yankees, the yellowed contract that cemented the deal was sold today by Sotheby’s auction house for $996,000. 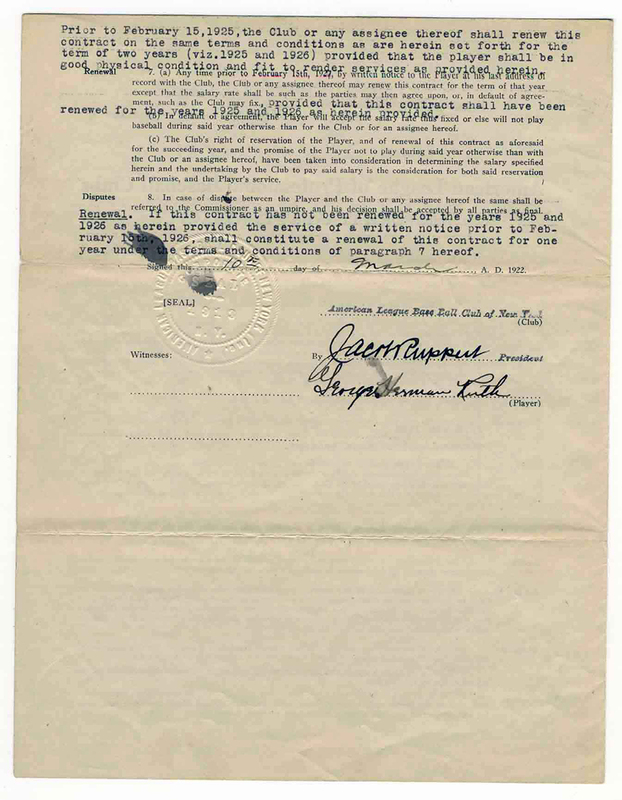 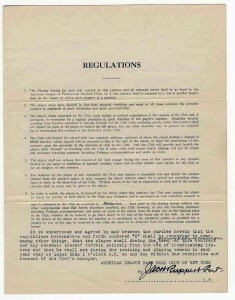 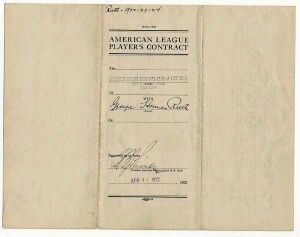 The transaction which occurred in 1919 transferred Babe Ruth’s existing Boston Red Sox contract to the New York Yankees. 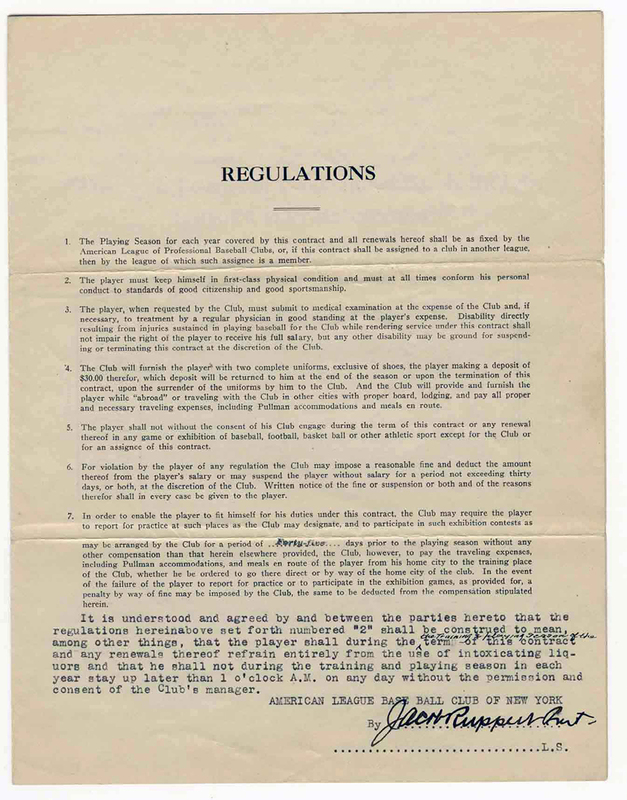 The prior year, 1918, the Red Sox won the World Series and the transfer of Babe Ruth to the Yankees marked the beginning of the “The Bambino’s Curse”, as the Red Sox would not win another World Series for the next 85 years! 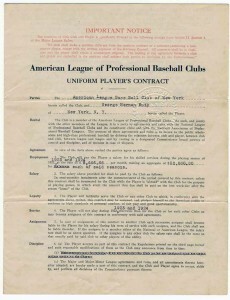 Ruth played in New York under the Boston Red Sox contract for the remaining 2 years of the contract. 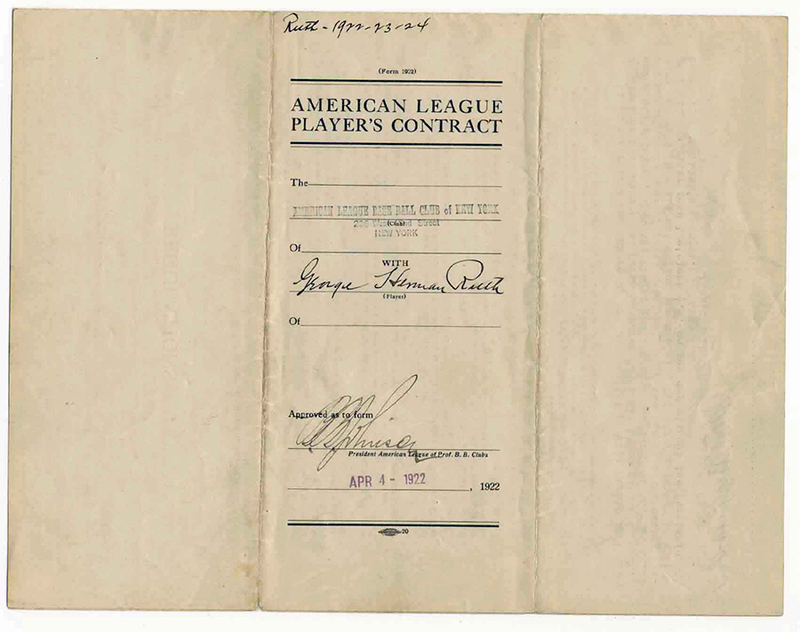 Then in 1922, the Babe signed a new 3 year contract, the first contract written with the Yankees.